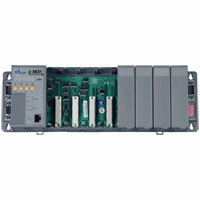 The I-8431-80/ I-8831-80 are ethernet embedded controller with 4/8 I/O slots. 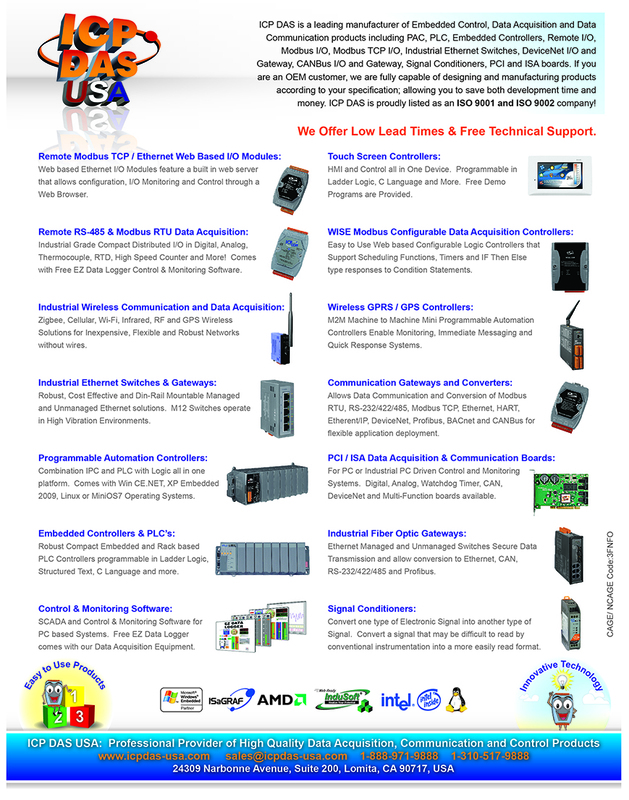 Both are equipped with MiniOS7,an embedded OS similar to DOS that is developed by ICPDAS Co., LTD. The MiniOS7 can boot up in a very short time (0.4~0.8 second).It has built-in hardware diagnostic function, and supports the full functions to access all 8K and 87K series I/O modules, such as DI, DO, DIO, AI, AO, Counter/Frequency, motion modules etc. Note: S256 and S512 are optional accessories. 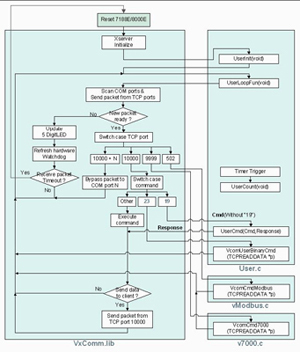 The built-in watchdog circuit will reset the CPU module if a failure occurs in either the hardware or software, allowing thecontroller system more reliable and stable in harsh and noisy environments. 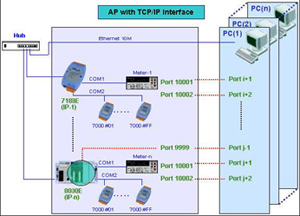 The XServer architecture greatly simplify the programming of TCP/IP protocol. 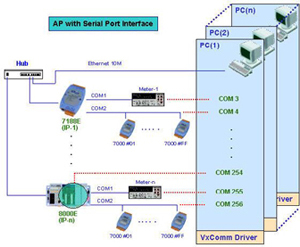 Supports the VxComm technique for all ports (Serial Port and Ethernet Port). 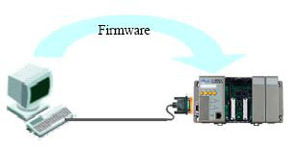 Frame Ground provides a path for bypassing ESD, allowing enhanced static protection (ESD) capability and ensures that the module is more reliable. 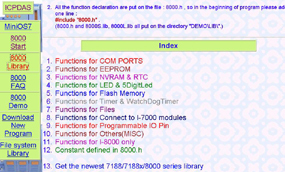 Equipped with MiniOS7, an embedded OS similar to DOS that is developed by ICP DAS Co., LTD. 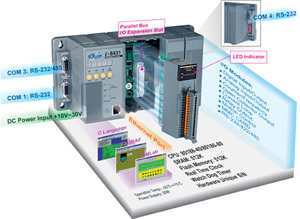 Provides full C library functions such as 8K, 87K I/O, 7-segment LED, RTC (real time clock), EEPROM etc.